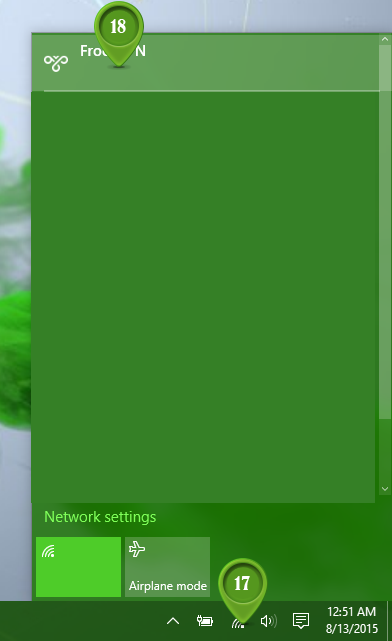 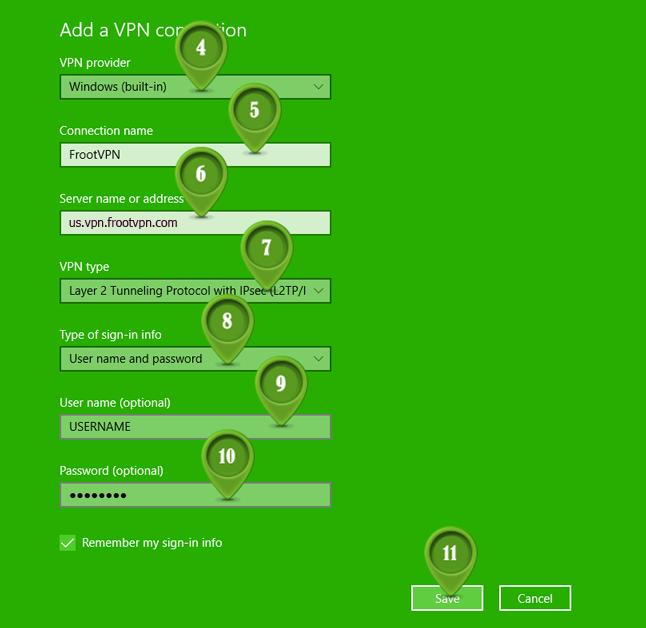 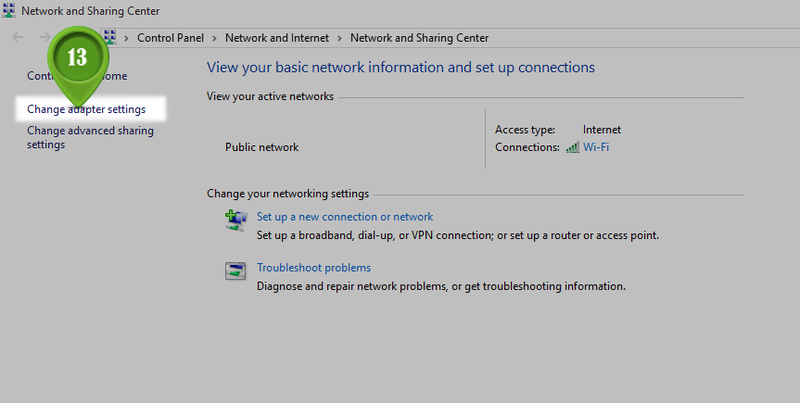 nection – you must give a name to this connection, for example FrootVPN L2TP. 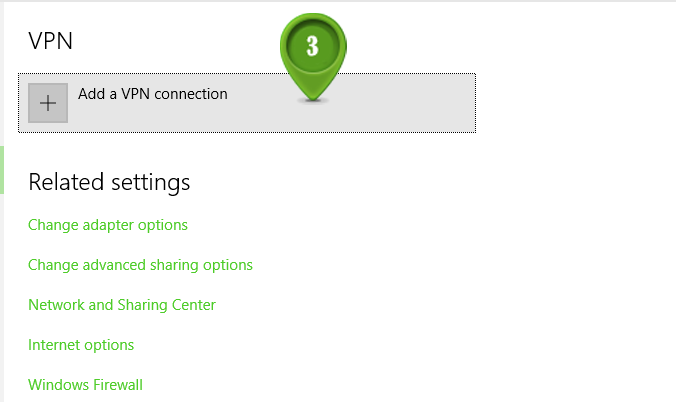 ame or address – type server name you want to connect to. 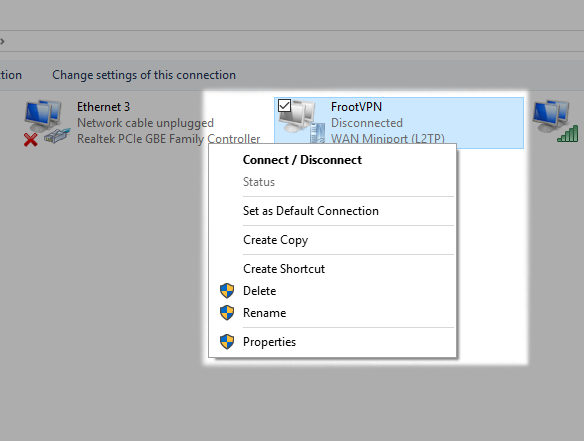 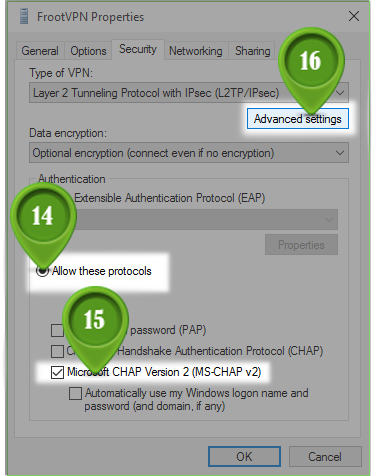 Find your FrootVPN L2TP connection and press right-click then click Properties. 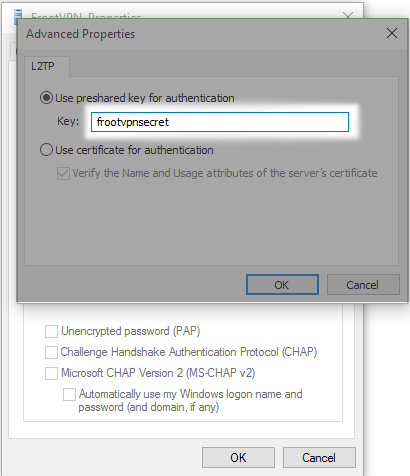 In Advanced Properties type the key: frootvpnsecret. 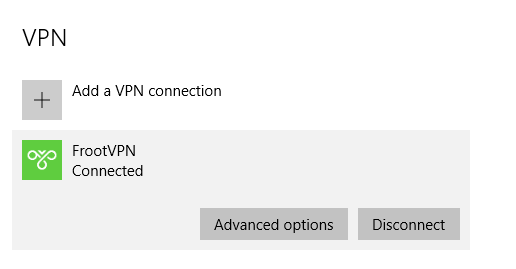 Then press OK.